If you suffer from low back pain, you are not alone. Low back pain is one of the most common causes of missed work and disability. Some back pain goes away relatively quickly; some is longer-lasting. Back pain can be categorized as acute (short-term) or chronic (long-term). Most acute back pain is the result of a trauma (sports injury, fall, accident) or in many cases, osteoarthritis, rheumatoid arthritis, osteoporosis or other disc disease processes. Chronic back pain is pain that does not abate for three months. The cause of chronic back pain can be complicated to ascertain. The spine has four regions: the seven cervical or neck vertebrae (C1-C7), the twelve thoracic or upper back vertebrae (T1-T12), the five lumbar vertebrae (L1-L5), and finally the sacrum and coccyx, which are bones located at the base of the spine. Low back pain is generally related to issues with the lumbar vertebrae, because this part of the back supports the weight of the upper body. The first incidents of low back pain typically occur in 30 to 50 year-olds and in both women and men in roughly equivalent numbers. As we age, our bone strength and the elasticity (the give) of our muscles decrease. As a result, our discs become less able to serve as a cushion in the vertebrae and pain occurs. Low Back Pain can range from a stabbing sensation to an ache that doesn’t let up. Sometimes pain can radiate to other areas of the back or down the leg (sciatica). Occasionally, low back pain can also be accompanied by problems with bladder and bowel control. This can be indicative of nerve damage. Back pain can also limit movement and mobility. You may notice a decreased range of motion or lesser flexibility. In some cases, back pain may be so debilitating that you literally cannot stand upright. Arthritis: two types of arthritis, osteoarthritis and rheumatoid arthritis, are chronic conditions that can result in lower back pain. In osteoarthritis, the material that cushions the joints breaks down, causing the bones to rub against one another. Symptoms can include stiffness, pain, and loss of range of motion and mobility. In rheumatoid arthritis, the lining of the joints becomes inflamed. Most rheumatoid arthritis sufferers are more likely to have issues with neck pain as opposed to low back pain. Cauda Equina syndrome: occurs when there is pressure on the lower spinal nerves. This is a very serious condition and must be treated quickly or permanent damage could occur. Fibromyalgia: this complicated illness causes widespread pain in many areas of the body, along with fatigue and areas of extreme soreness and tenderness. Herniated/bulging/protruding disc: the spine is made up of many vertebrae which are stacked upon one another, and in between each of these bones are discs. These discs are the spines’ shock absorbers. As a person ages, these discs progressively and naturally become less supple and more fragile and can be herniated, bulge or protrude, causing pain and discomfort. Discs can herniate in any direction–forward, centrally or, most commonly, backward and sideways in the direction of the spinal nerves. They are sometimes referred to incorrectly as “slipped discs”. Osteomyelitis: caused by an infection in the actual bone. Causes pain and instability and requires immediate attention. Osteoporosis: this disease causes a progressive deterioration in bone density and bone strength, and afflicts men and women, although post-menopausal women are at far greater risk, particularly Caucasian women of small stature. Sciatica: this occurs when there is pressure on the nerve root or the sciatic nerve. Sciatica evidences itself with spasms of low back pain that feel like they are traveling through the buttocks and down the legs, occasionally even causing spasms in the foot. Sometimes, sciatica causes not pain, but numbness. Skeletal Irregularities: deviations from a “normal” spine can cause strain, stress and pain. Disease processes connected to these include scoliosis (curvature of the spine), kyphosis, which is rounding of the upper back, lordosis, an overly large arch in the lower back, back extension, in which the back bends backwards and back flexion in which the spine bends forward. Spinal Degeneration: as we age, our discs can wear down. Sometimes, this can actually cause a narrowing of the spinal canal. 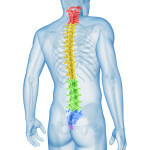 As the discs degenerate, the vertebrae may rub against one another, causing pain, numbness and lack of mobility. Spinal Stenosis: caused by the narrowing of an area of the spine, causing pressure on the spinal cord or on the nerves that branch out from the compressed areas. Spinal Stenosis can cause difficulty walking, in addition to cramping, pain or numbness, loss of sensation, and difficulties with bladder or bowel function. Spinal Stenosis can be as a result of aging or it can be a congenital condition. 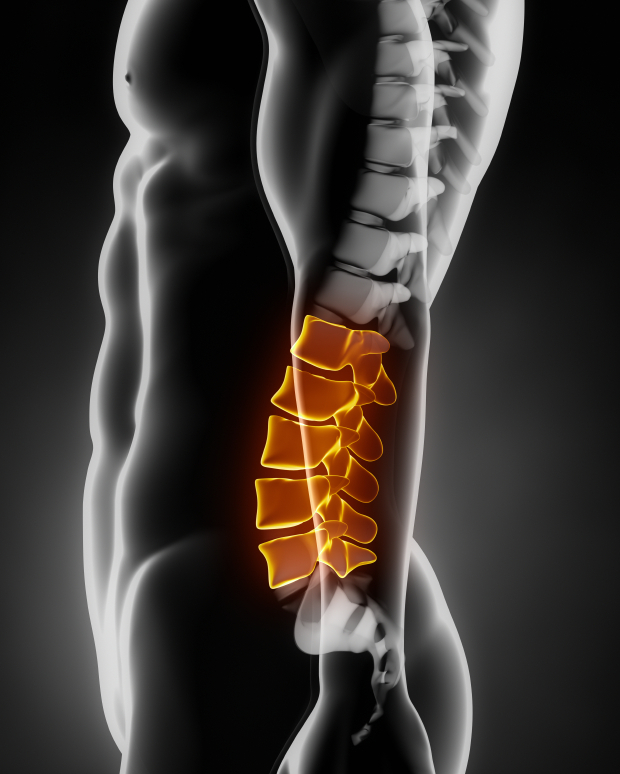 The providers at Michigan Spine & Pain use a variety of methods to diagnose low back pain. These include obtaining a complete medical history, including a comprehensive physical exam, x-rays, MRI, CT scan, electrodiagnostics, bone scans, discography and many other methods. Acupuncture. An acupuncture program can help a patient manage their pain in many cases. Acupuncture is a health science that can be used successfully to treat pain and dysfunction in the body. Acupuncture’s goal is to restore normalcy to the body’s energy balance by utilizing a combination of Acupoints located on the twelve meridians. This can be accomplished by a variety of means, and the needle is just one. Injections. Medication such as corticosteroid or local anesthetic is injected into the epidural space by way of a needle. It can block the inflammatory chemicals that sensitize nerves and nerve receptors, and thus in many cases may help to reduce pain. Massage Therapy. During a massage, a trained, clinical massage practitioner manipulates muscles in the body. This, combined with a full pain management treatment plan, can provide relief. 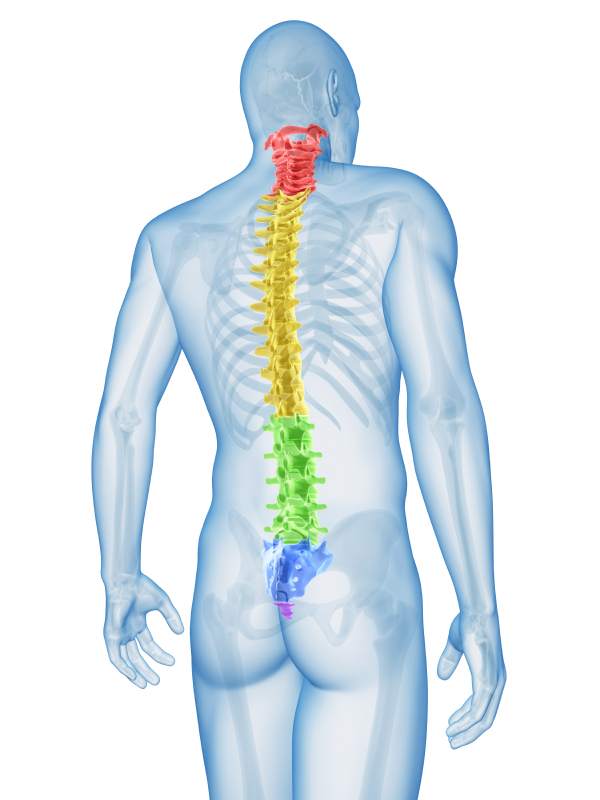 It is a safe procedure that is only performed by one of Michigan Spine & Pain’s licensed massage therapists. Pain Management. Pain Management is an overall approach and philosophy to treating chronic pain conditions. Medications can be an important part of this approach. All of the physicians at Michigan Spine and Pain are Board Certified and have years of experience with acute and chronic pain conditions. Medications for pain can be as simple as over-the-counter analgesics (aspirin, naproxen sodium and ibuprofen) or, for those experiencing unrelenting pain, treatment can include anti-convulsives, anti-depressants or opioids. Management and monitoring of all pain medication is important, because these medications can contribute to depression, which can worsen pain symptoms. Pain Psychology. Pain Psychology/Social Work is integral to our treatment plans. Pain is something our patients experience 24 hours a day, seven days a week. This constant battle can be for so many of our patients, depressing and debilitating. Patients and their families may also have lost income or relationships due to injury or illness. At Michigan Spine and Pain we believe it is important to address these issues along with the physical issues. Maintain a healthy weight. Excess weight puts more strain on the back and the spine. Eat a diet that is rich in vegetables and in food that contains vitamin D and calcium. Protect your back when pregnant. When you are pregnant, it is healthy and necessary to gain weight to help the baby grow. Nevertheless, pregnancy puts added pressure on all of your body and most especially, your lower back. Treat yourself kindly. Ask for help. Don’t lift heavy items. Take it easy! Maintain good posture. When you’re sitting, keep your back straight and aligned. When you’re standing, don’t slump or lean. Avoid heavy lifting. If you must lift a heavy item, lift with the legs and not the back. Pull in your stomach before you lift. Do not twist. If you are a caregiver, you will need to get help to lift or turn your loved one. If you experience low back pain, limit bed rest to 1-2 days. Extended bed rest may make back pain worse and cause decreased mobility and increased depression. Be aware of your sleeping position. If you are experiencing low back pain, sleep on your side. Consider placing a pillow between your knees if it helps to relieve pain. Exercise regularly. Any exercise that contributes to a healthy weight and also helps to build muscle strength in a safe way is good for your back. 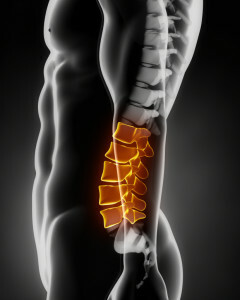 The team of professionals at Michigan Spine & Pain can provide a list of exercises that will help alleviate your pain. On your own, you can engage in walking and swimming. These are great beginning gentle exercises. Exercise appropriately. Don’t overdo it. Start slowly, especially if your body is unused to exercise. Stretch before you exercise and stretch as you cool down. Stop smoking. You’ve heard that smoking is bad for your health. That is certainly true, but did you know that it is also bad for your back? Smoking reduces oxygen to the spine, thereby allowing the discs to deteriorate.